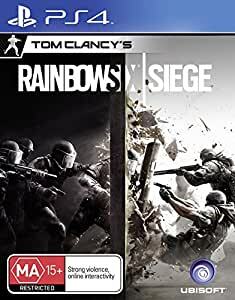 Tom Clancy's Rainbow Six Siege is the upcoming installment of the acclaimed first-person shooter franchise developed by the renowned Ubisoft Montreal studio for the next generation of consoles and PC. 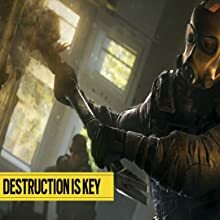 Inspired by the reality of counter-terrorist operatives across the world, Rainbow Six Siege invites players to master the art of destruction. Intense close-quarters confrontations, high lethality, tactics, team play, and explosive action are at the centre of the experience. 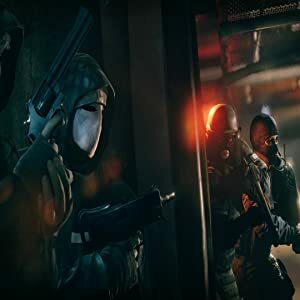 The multiplayer gameplay of Rainbow Six Siege sets a new bar for intense firefights and expert strategy in the rich legacy of past Rainbow Six games. Counter-terrorist units Counter-terrorist operatives are trained to handle extreme situations, such as hostage rescue, with surgical precision. As 'short range' specialists, their training is concentrated on indoor environments. Operating in tight formations, they are experts of close-quarters combat, demolition, and coordinated assaults. The siege gameplay For the first time in Rainbow Six, players will engage in sieges, a brand new style of assault. 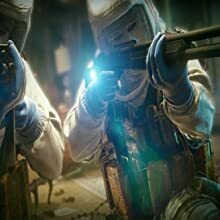 Enemies now have the means to transform their environments into strongholds: they can trap, fortify, and create defensive systems to prevent breach by Rainbow teams. 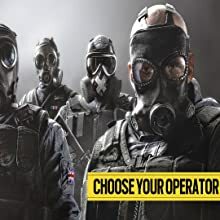 To face this challenge, players have a level of freedom unrivalled by any previous Rainbow Six game. 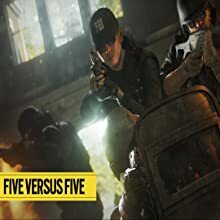 Combining tactical maps, observation drones, and a new rappel system, Rainbow teams have more options than ever before to plan, attack, and diffuse these situations. Procedural destruction Destruction is at the heart of the siege gameplay. Leveraging Ubisoft Montreal's proprietary Realblast engine, players now have the unprecedented ability to destroy environments. Walls can be shattered, opening new lines of fire, and ceilings and floors can be breached, creating new access points. Everything in the environment reacts realistically, dynamically, and uniquely based on the size and caliber of bullets you are using, or the amount of explosives you have set. In Rainbow Six Siege, destruction is meaningful, and mastering it is often the key to victory. Be The Shield That Safeguards The Civilized World. Master the art of destruction and gadgetry in Tom Clancy’s Rainbow Six Siege. Face intense close quarters combat, high lethality, tactical decision making, team play and explosive action within every moment. Experience an era of fierce firefights and expert strategy born from the rich legacy of past Tom Clancy's Rainbow Six games. Engage in a revolutionary style of assault using an unrivaled level of destruction and gadgetry. On defense, coordinate with your team to transform your environments into strongholds. On attack, lead your team through narrow corridors, barricaded doorways and reinforced walls. Choose from dozens of highly trained, Special Forces operators from around the world. Employ every weapon and gadget from your deadly arsenal to locate, manipulate and destroy your enemies and the environment around them. I realize now after talking to tech support you can not make purchases in the USA. I now see that is on the listing you can not make purchases but why even sell it in the USA if you can not use it fully. 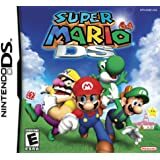 5.0 out of 5 starsHappy kid. Was delivered brand new in plastic.